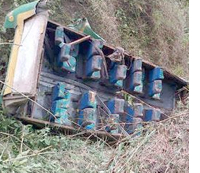 A bus crashed in Andes mountains, around twenty-one kilometers south of Cuenca, Ecuador, on September 1st. 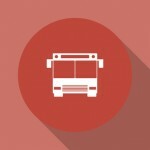 The accident happened when the bus was heading toward Loja. Eleven people were killed in the crash. Thirty-seven others were injured. 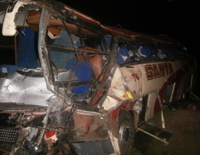 A bus crashed on the road between Cuenca and Molleturo, in Ecuador, on August 12th. The accident happened when the bus was transporting fans of Barcelona S.C., Ecuador’s most popular football club, from Cuenca to Guayaquil, Ecuador. At least twelve people were killed in the crash. Thirty others were injured. 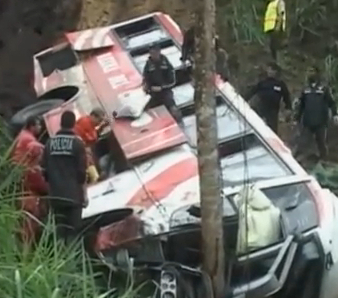 In Dec 26, 2012, after a bus lost its brakes, it flipped and fell down an embankment in La Joaquina, Ecuador. The accident occurred in Tungurahua providence between the provincial capital Ambato and the town of Pillaro. The bus was speeding at the time.